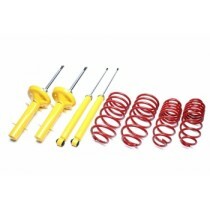 This TA Technix sport suspension kit is for the Mini Convertible type R52 from 2004-2009. This TA Technix sport suspension kit is for the Mini Cooper and Mini Cooper S type R53/R56 from 2002- 2014. This TA Technix sport suspension kit is for the Mini One, Cooper type R50 from 2001-2002.